Taking a food tour on your first day in Athens will give you the chance to get around the city, spot the places you want to visit again and most importantly find out what to eat during your stay in the city. You can also get personalized tips from your tour guide about local eateries and shopping. A food tour will definitely inspire you on how to explore the Athenian city! This is your chance to travel through the goodies and the blessings of the Greek land! See and taste an array of authentic Greek products that come to you straight away after production. Whether it is about fresh fruit and vegetables, alive and kicking fish or delicious cheese, the market of Athens will satisfy your eyes and taste buds to the fullest. Tip! Join our Athens For Foodies tour & enjoy mouthwatering traditional stuffed vegetables – “gemista”- around a secret corner of Athens central market! 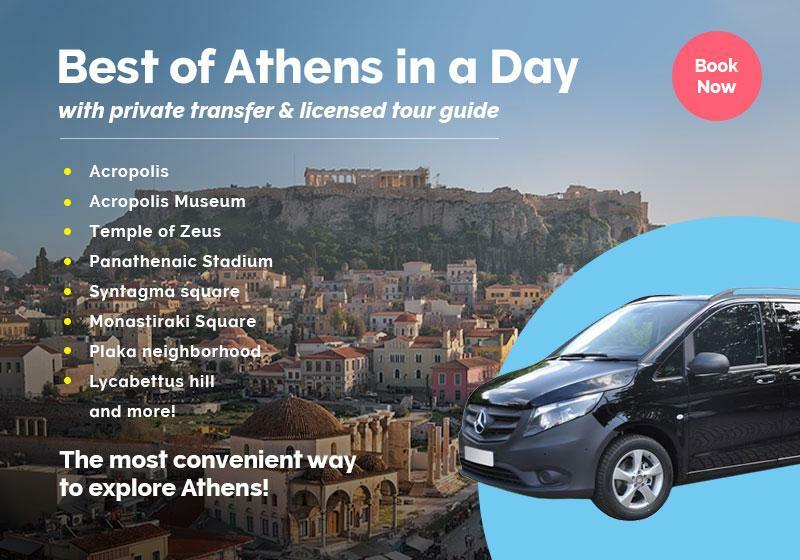 What a better way to discover Athens other than connecting with the city via all your senses? Tasting your way through Athens offers a complete and unforgettable experience since exploring a place through its local food opens the door to new ways of discovering the local history and culture. 4. Do it like a local! Get off the beaten path and leave no stone unturned in places that you wouldn’t have checked by yourself. An Athens food tour leads you to those spots that you will not find in a guidebook, such as that secret eatery in Athens city center that you can happily gobble down the most delicious pork chops you have ever tasted! And the best part? The interaction with the locals; they are always proud of their culture and you can bond with them by just showing interest in what they have to say about their land. You will listen to unique stories and of course, you will be far away from the label of “just another tourist”. 5. A tour full of nibbles and tidbits risk-free! Without a doubt, the best part of a food tour is the chance you get to nibble and munch various types of tidbits all the time. From delicious wraps in Syntagma Square to rice pudding and the famous round bread roll from Thessaloniki, you can try new kinds of food and dishes after the guidance and personal attention of your tour guide - without the risk of eating something you are allergic to or something not close to your personal taste. Tip! Come with us for the absolute “Athens food tour” and devour handfuls of delicacies while discovering secret neighborhoods of Athens! If time is not your ally during your visit in Athens, joining a food tour is the best choice you can make when it comes to a food overview of the city! Spot your chance to take some authentic Greek bites, meet the food culture of the city and attend food workshops with local artisans just in a few hours! Tip! Join us for our Greek Cooking Class and master your Greek cooking skills to show off to your friends back home! Last but not least, one of the perks you enjoy when joining a food tour is meeting fellow travelers and foodies from all over the world. You share your experiences and get to know people from different backgrounds. You can even make friends that you might want to spend the rest of your visit to Athens together. Anything is possible! Placing “taste” in the epicenter of a food tour, you grasp the chance to experience the personality and culture of the Athenian city engaging all your senses. Whether you are looking for extravagant experiences specially designed for food extremists or having fun with your family, while exploring the local food and culture of the city, a food tour is what you need to discover Athens at a whole different level. Feel free to contact us for any tailor-made tours in Athens adjusted exactly to your personal preferences and taste!